I received a Crate & Barrel catalog yesterday with the cutest little patchwork ornaments inside. Shea has been obsessed with owls lately, so I wondered if I could make an owl like the ones in the C&B catalog. It's a blatant copy, I know, but I'm not going to sell it. 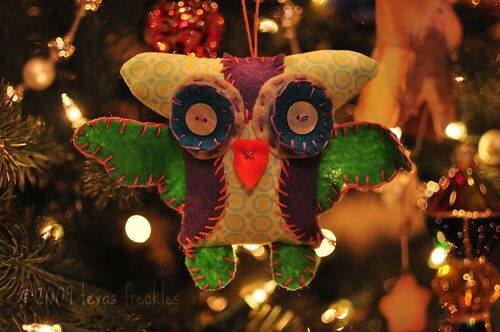 It's just going to hang here on our tree and make us smile. I put it in today's pocket in her advent calendar. I used the food processor to make bread dough tonight. 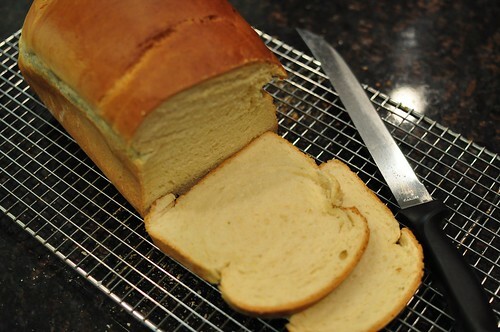 I used this recipe from While She Naps for a basic white bread and it was wonderful! I substituted King Arthur bread flour rather than all-purpose and the dough was incredibly silky. I did have to use at least twice as much water as the recipe called for, but it came together beautifully and tasted great. It was super easy. 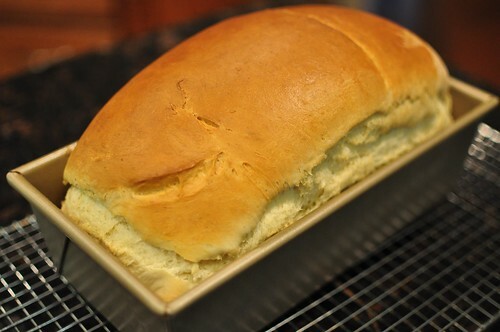 Now I need to find a recipe this easy for wheat bread! I love your owl! He is darling! I didn't see one on the Crate & Barrel website - but yours sure is cute.